Shoo-wee! It's hot 💥 🔥 down here in the south! Nothing a little of Young Living's Peppermint EO can't handle though! One of my favorite ways to use Peppermint for cooling down the heat is to make a little spray bottle with water and a couple drops of Peppermint. Adding a couple drops of Lavender EO helps with the after effects of the sun on the skin, too! 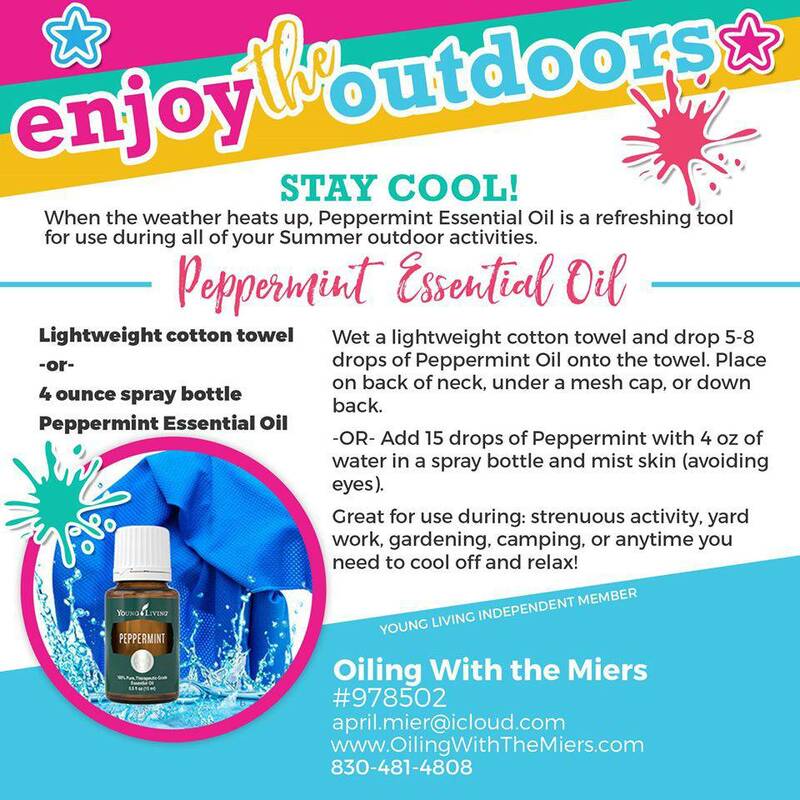 Cool yourself from the inside out by putting a drop of Peppermint Vitality in a BIG water bottle (32oz or more)..*I don't recommend giving this to little children as Peppermint can be quite cooling for sensitive little mouths and tummies.